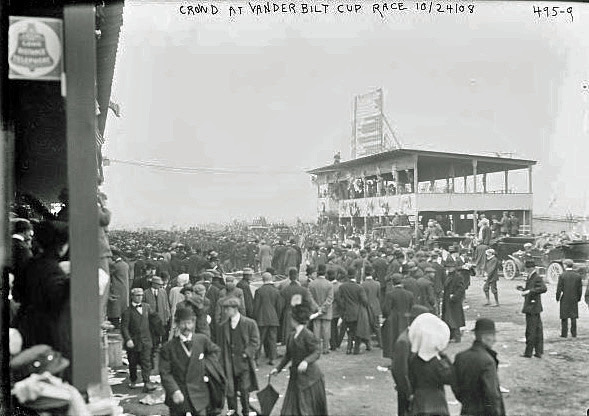 The Bain Collection at the Library of Congress includes 49 exciting photos of the Vanderbilt Cup Races. 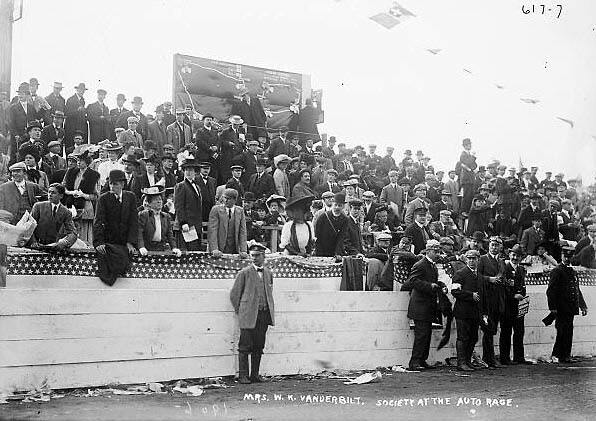 These images focus on the spectators. 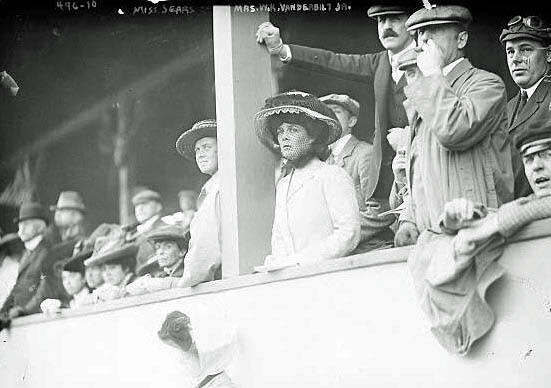 Virginia Vanderbilt, Willie K's wife, was standing in the middle of the first row wearing a white dress and black hat. 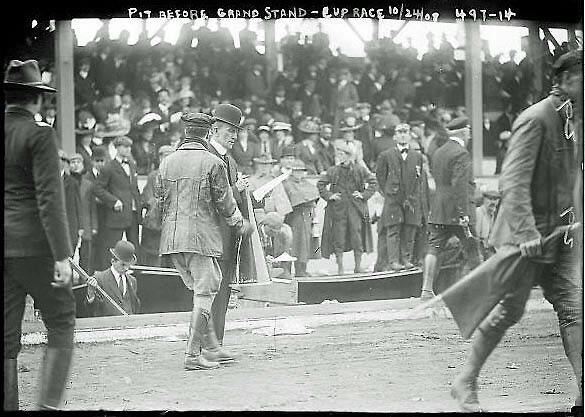 Referee William K. Vanderbilt, Jr. speaking to Peter Prunty, the PA announcer. 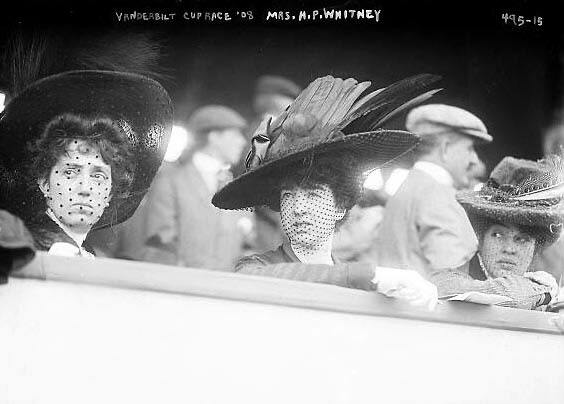 Gertrude Vanderbilt Whitney (middle), second daughter of Conelius Vanderbilt II and the wife of Harry Payne Whitney. 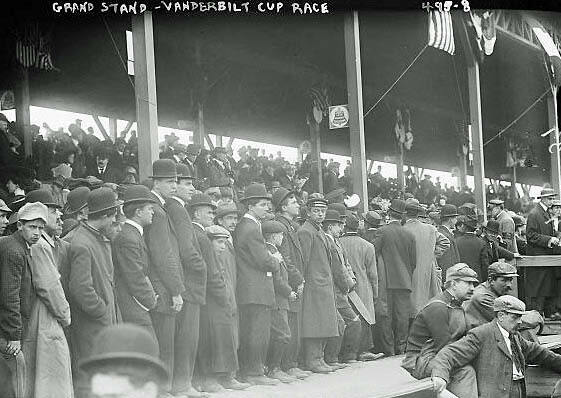 Crowd on the course when the race was called. 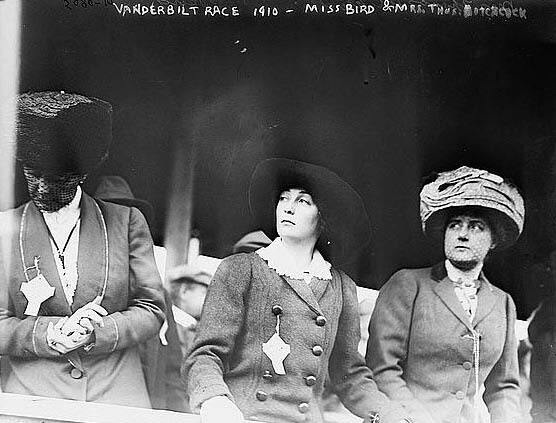 Miss Bird and Louise Hitchcock, wife of Thomas Hitchcock, Sr. Almost 300 years after her home was built (originally for the Titus family) Mrs Hitchcock would be unhappy to learn that the Catholic Church, which now owns the property, plans to tear down the home and replace it with…..a cemetery.